When it comes to skincare and giving your wrinkles a helping hand, you need some form of retinoid. It's the superstar ingredient to help reverse, prevent and repair the signs of ageing. 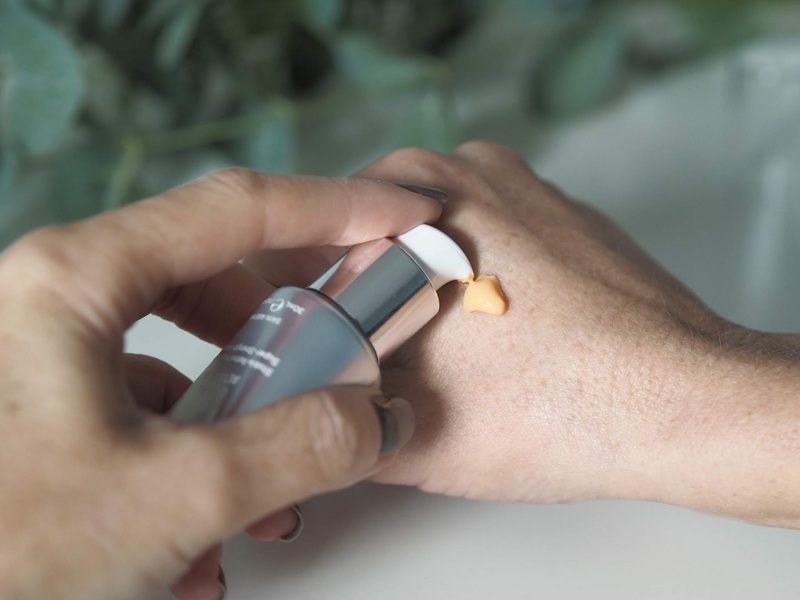 Now retinol (vitamin A) comes in many forms, from retinol esters to retinoic acid and I'm no skin expert at all but I do know that it's always best to start with the lower strength when you first start dabbling with a vitamin A product. My understanding is that retinoic acid, the strongest form, is the active ingredient our skin understands and can process, other forms of retinoids have to be converted by the skin into retinoic acid before it can work its magic. Results take time, usually many months before you see much of an improvement. Some over the counter retinols/retinals can be strong for some, so you need to go slowly and build up. I've used over the counter retinols with no issue but to honest never saw much in the way of results. I've also, on two occasions tried Tretinoin (prescription retinoic acid) and my goodness, this in on another level. With tret you really have to proceed with caution, slowly, slowly, it's bloody STRONG!! Your face can end up sore if you're not careful, and flaky skin with peeling is very common. I had all this and to be honest it's a case of it gets worse before it gets better BUT with me my face resembled that of a 90 year old with lots of flaky skin, makeup looking hideous and I hated it. Even, when I dropped to applying only once or twice a week it still looked the same, even more of a wrinkled prune that it did before I started using it so I stopped. I was gutted because I know tretenoin is the gold standard. Now a little while ago I was gifted the Medik8 crystal retinal 6 *and was a little wary to say the least. As I said retinol has to be converted, first to retinaldehyde then to retinoic acid. This product already is a retinaldehyde so basically only needs one conversion making it work quicker on the skin. Containing encapsulated retinaldehyde, it offers high performance, providing visible results up to 11 times faster!! Now, that's impressive. 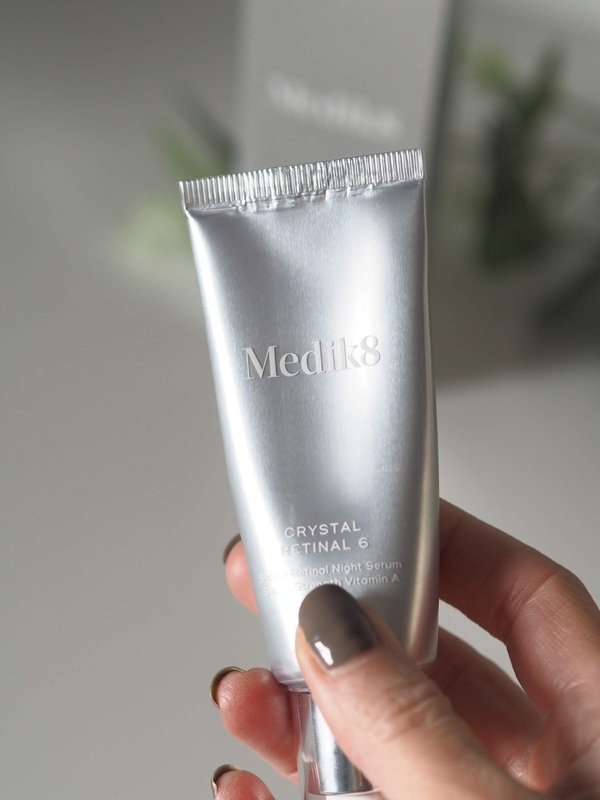 The Medik8 crystal retinal 6 is really lightweight, orange in colour as you can see, spreads over the skin nicely and absorbs well. My skin is quite dehydrated so I do sometimes find I need to put something over the top. I always leave it a good hour though, I'll apply this and an hour later go back with some oil or a moisturiser. I've been using this for a while now, in fact, it's more or less empty, and I've had zero irritation and zero flaking/peeling. I love it. I REALLY LOVE IT. More than any other retinol I've used, my skin just behaves whilst using it which makes me happy. I think because it uses encapsulated technology it releases the retinaldehyde slowly rather than BOOM, all at once, perhaps making it more of a gentle delivery and that's why I get on with it better?? 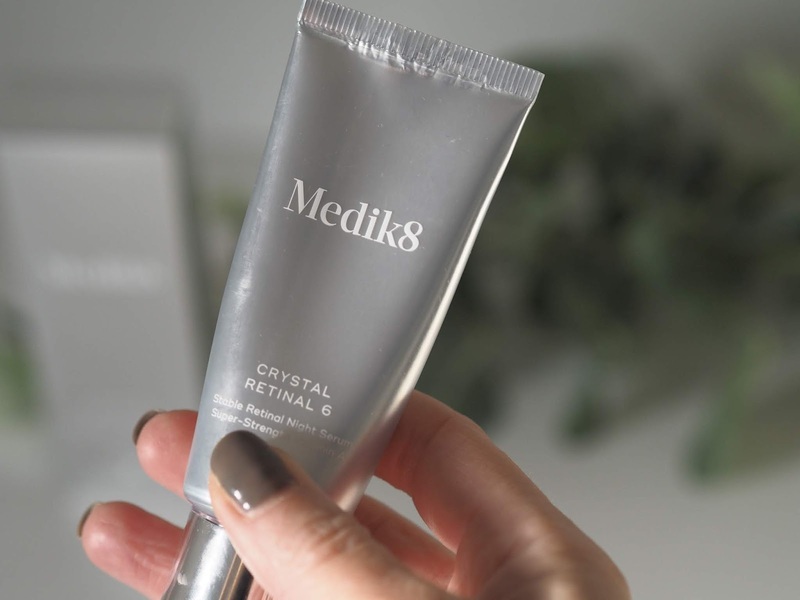 It comes in various strengths, starting with the crystal 1 which is entry level, 3 for people that are new to retinaldehyde but have used mild retinols before, 6, for when you're ready to step it up a gear, and then 10 for those ready for that extra boost from number 6. My skin definitely needs number 10 right now. 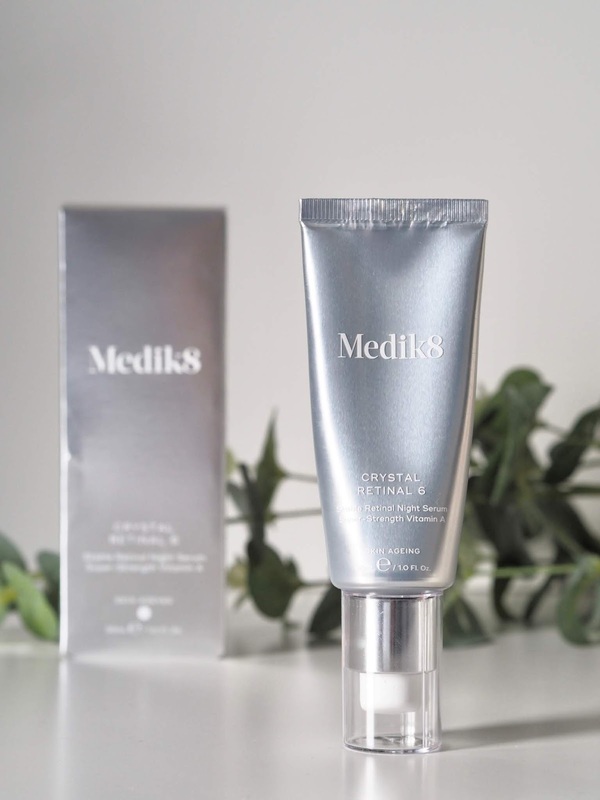 If like me you struggle to cope with the side effects of flaking and peeling that comes with strong retinoids/prescription ones, then this one might be a good option for you. If you haven't tried a retinol product before and you want help with wrinkles and fine lines, dark spots, acne, then you need something like this in your routine. If you're a newbie then perhaps start with number 3? Using any kind of retinoid is a bit of balancing act, and understanding how your skin reacts is key. Remember to start slowly, once a week initially and build up and ALWAYS use spf in the day. Every day! I was kindly gifted this from the team at Dermacare Direct and if you want more information then click here, they are happy to chat via phone or email and help guide you.